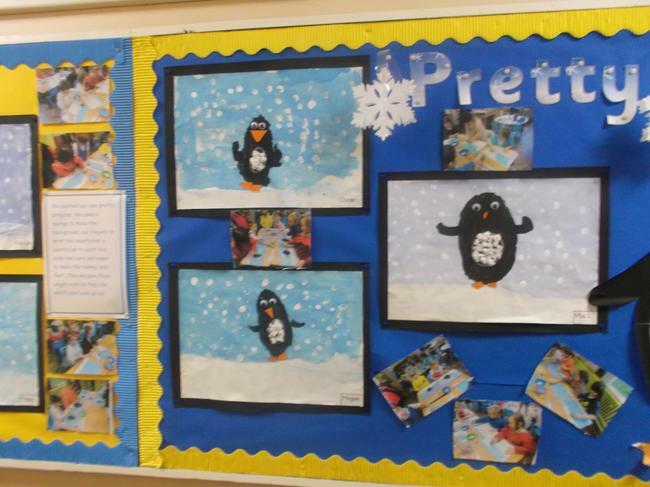 We had lots of fun creating our "Pretty Penguins". 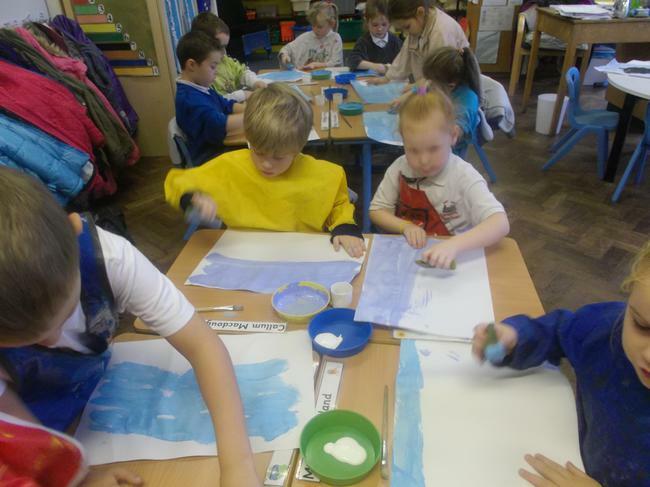 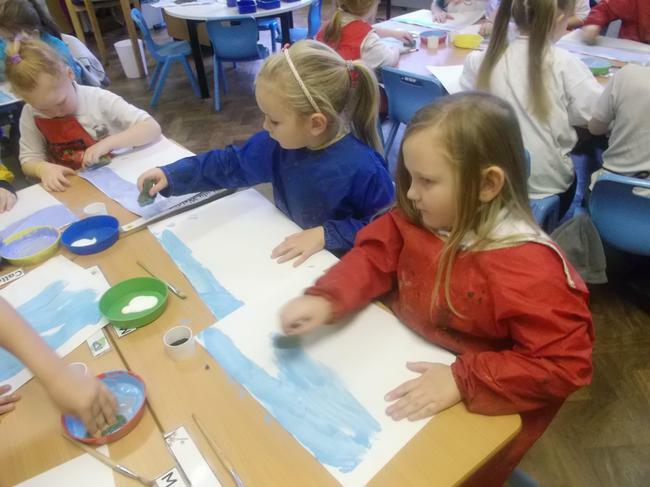 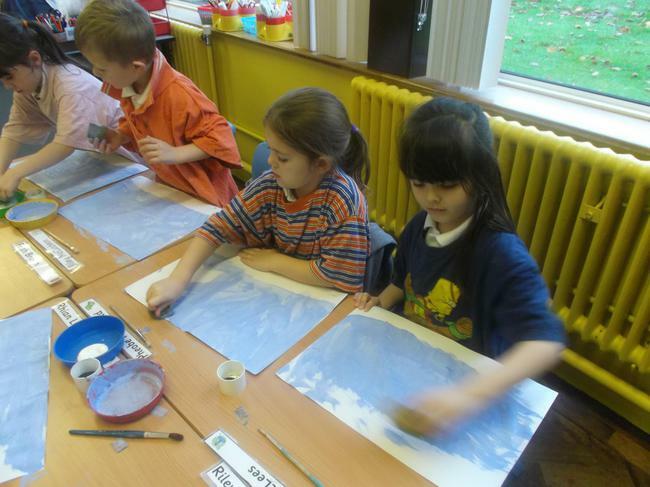 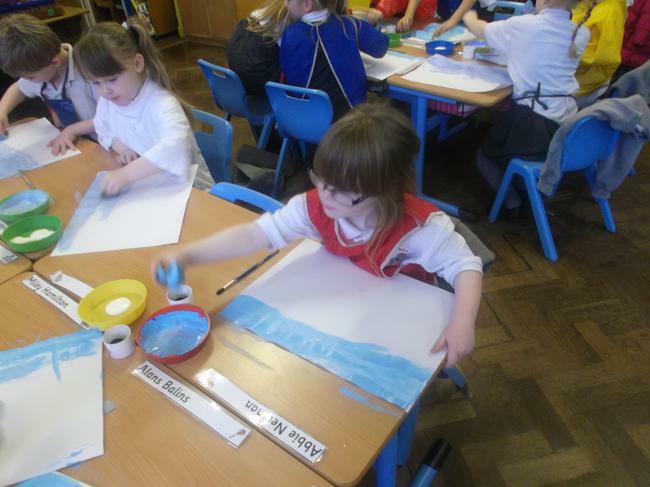 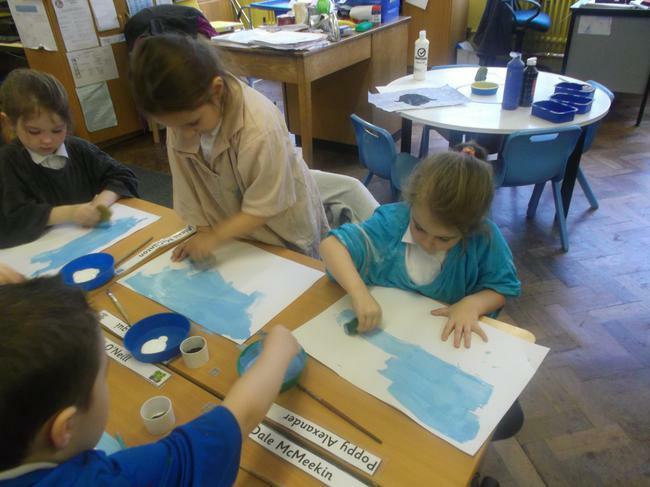 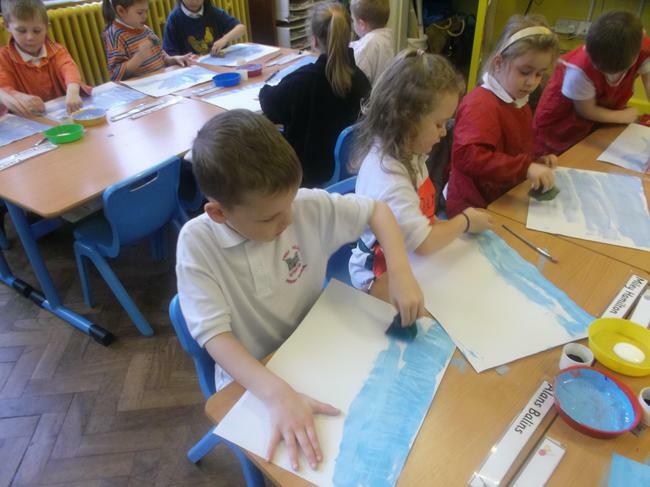 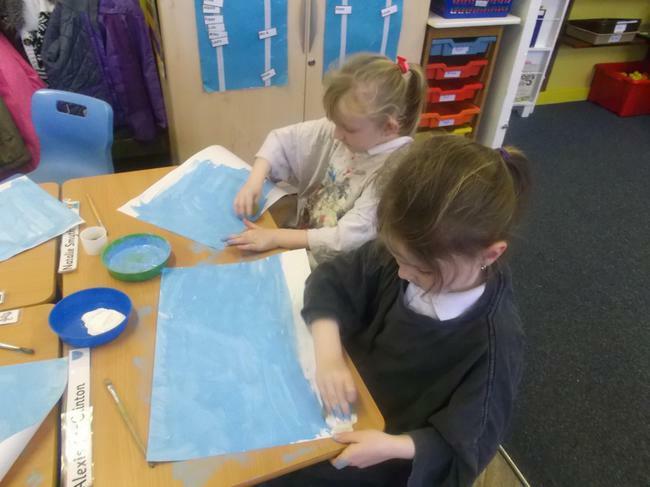 First we used a sponge and blue paint to make our background. 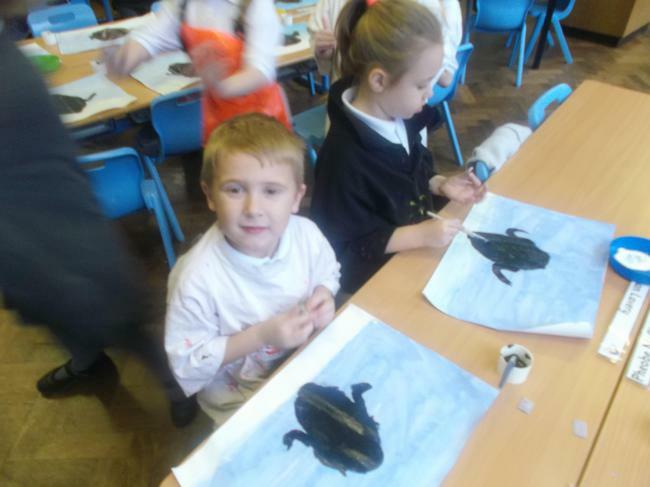 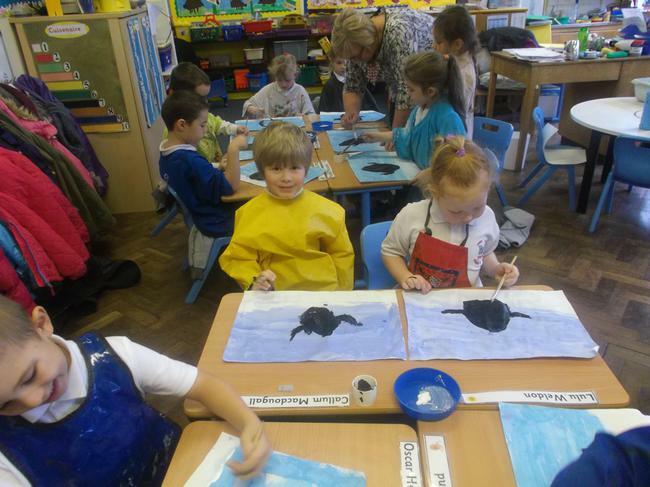 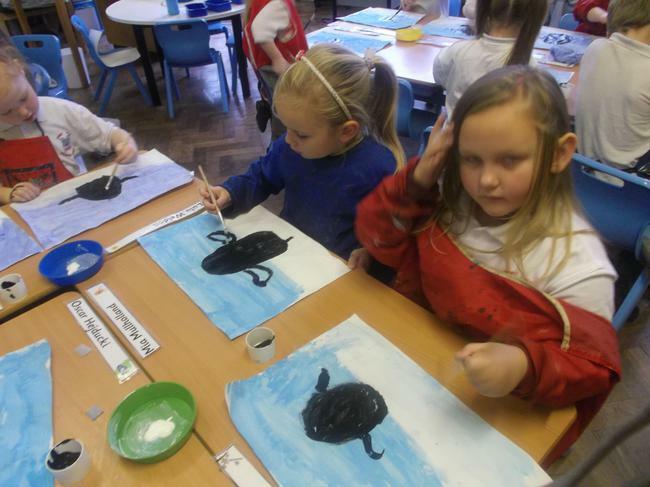 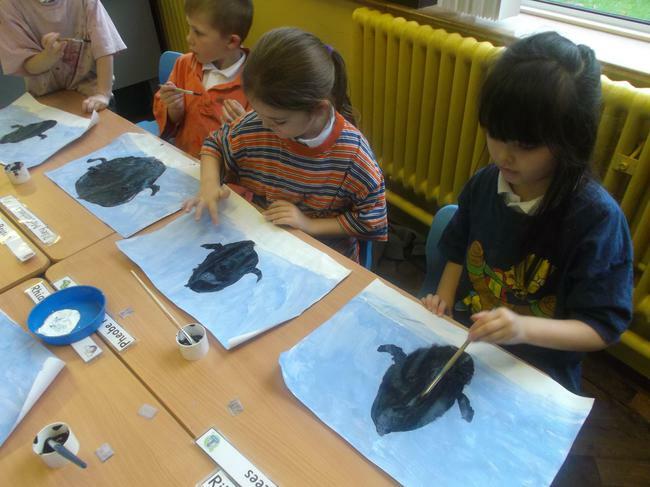 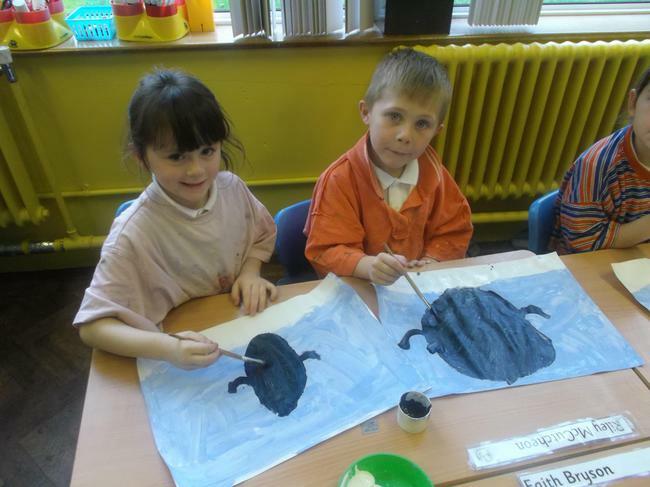 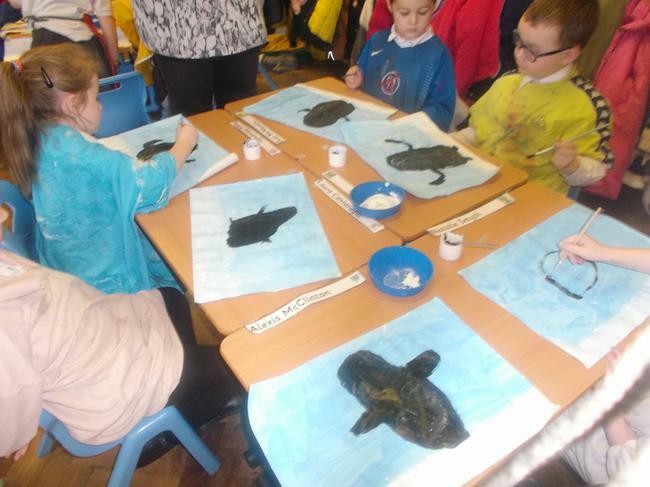 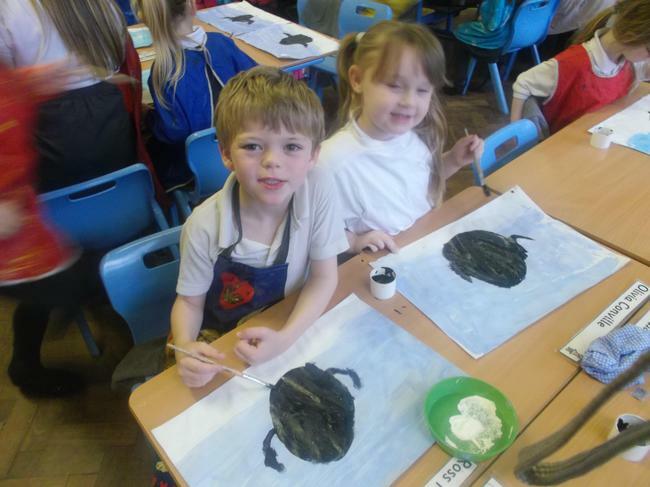 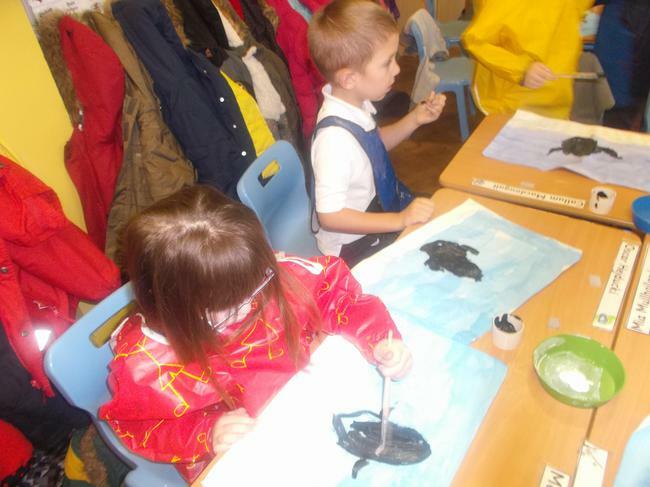 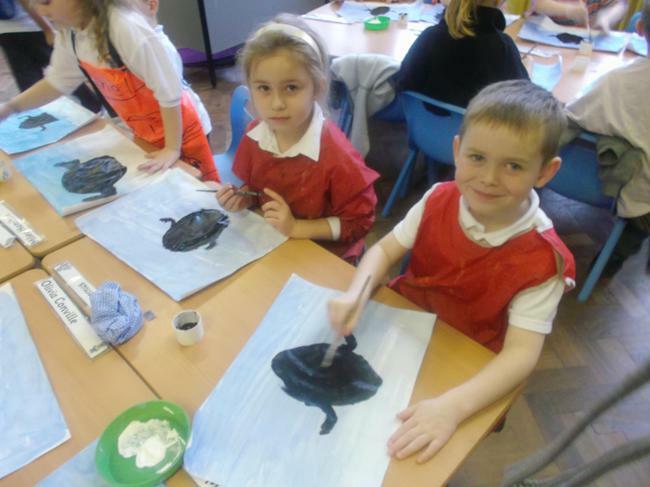 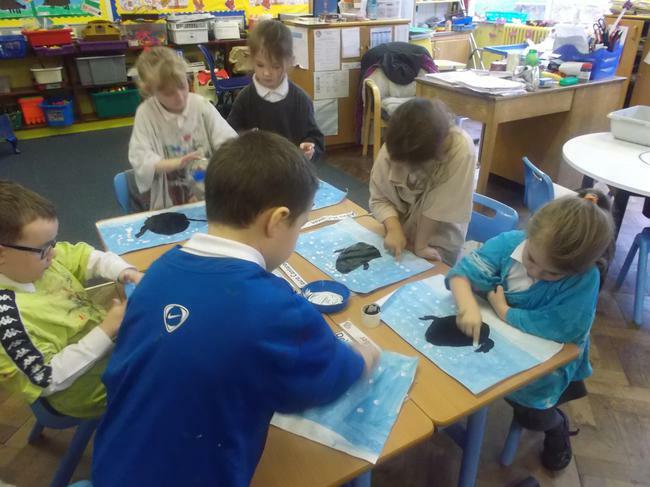 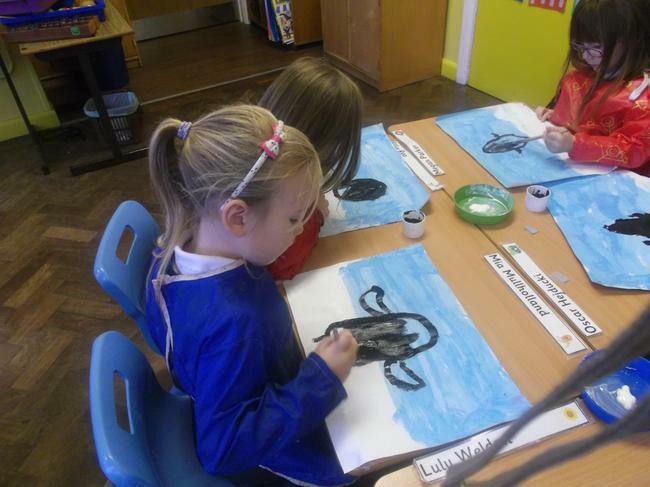 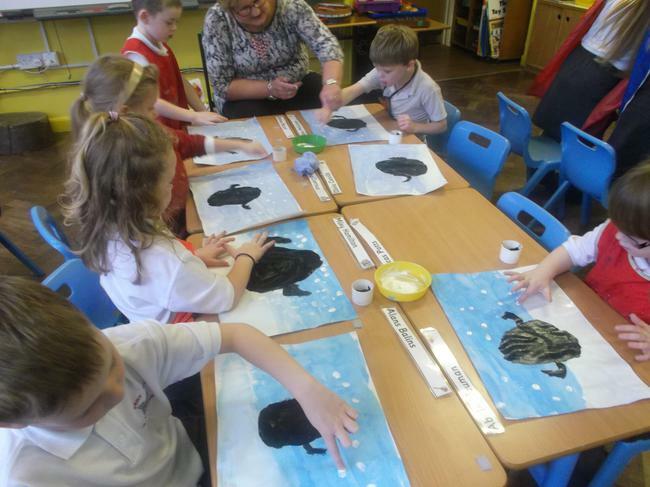 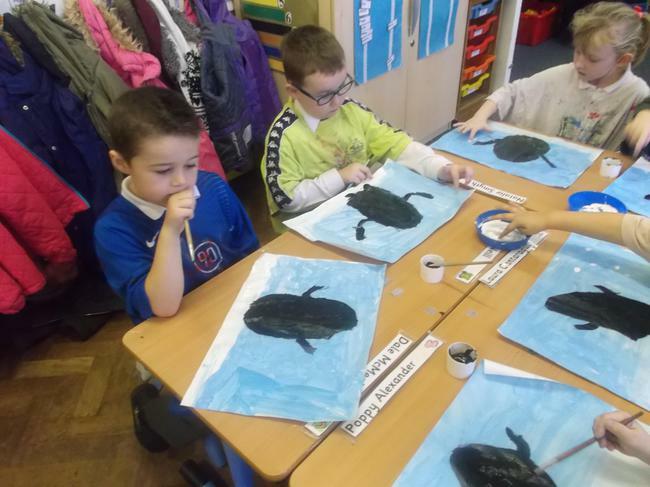 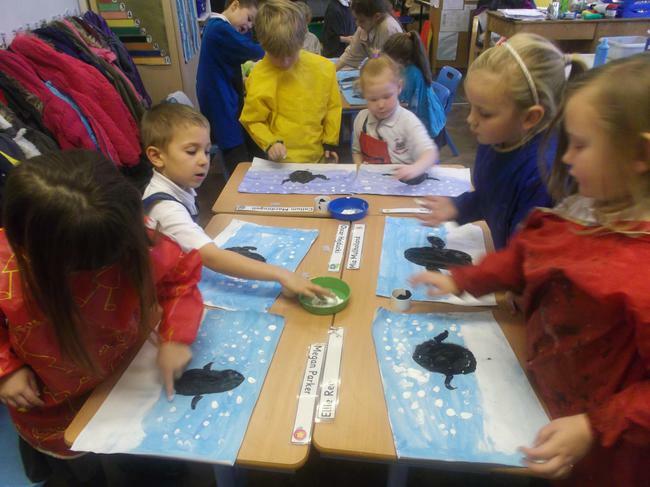 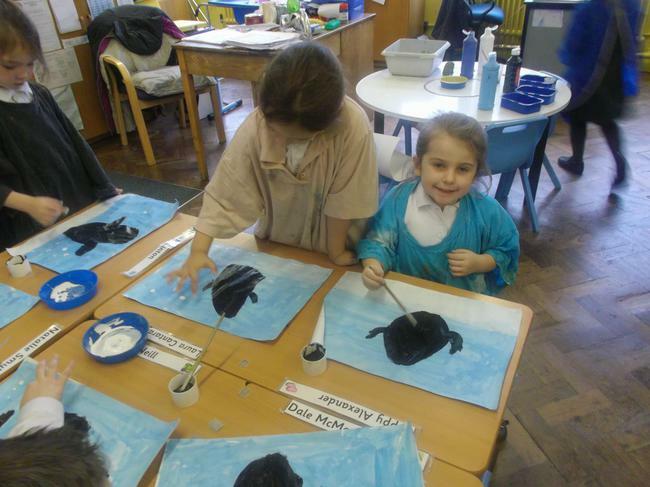 Then we painted our penguin's body with black paint. 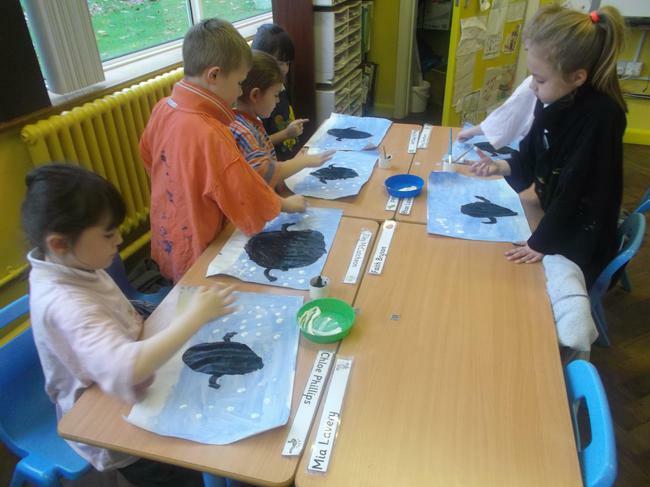 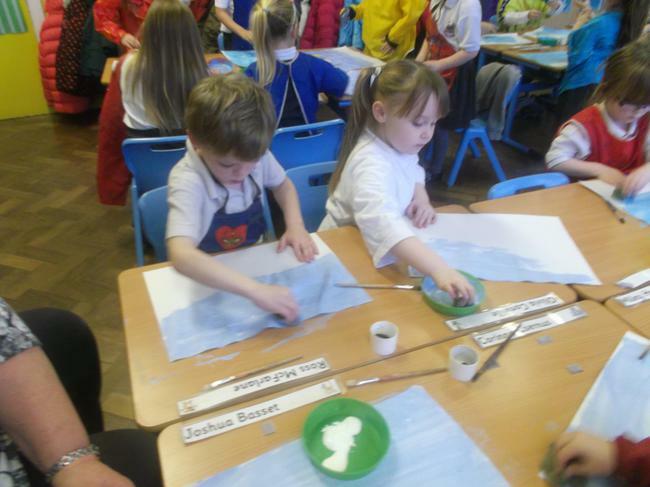 Using our fingers we made snowflakes on the blue background - it was soooo messy! 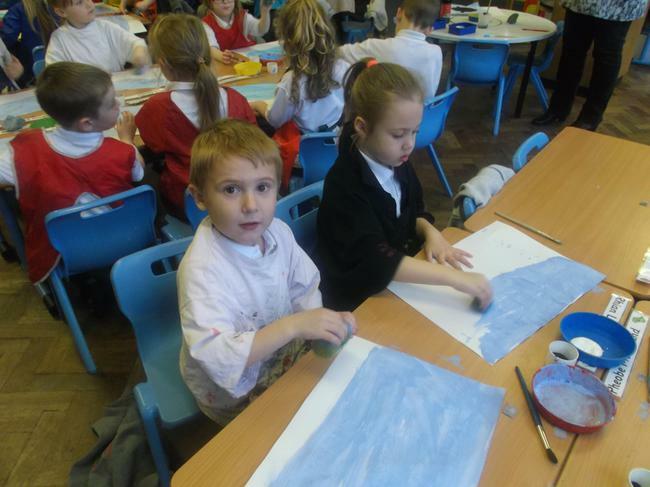 We made the tummy from scrunched up white tissue paper. 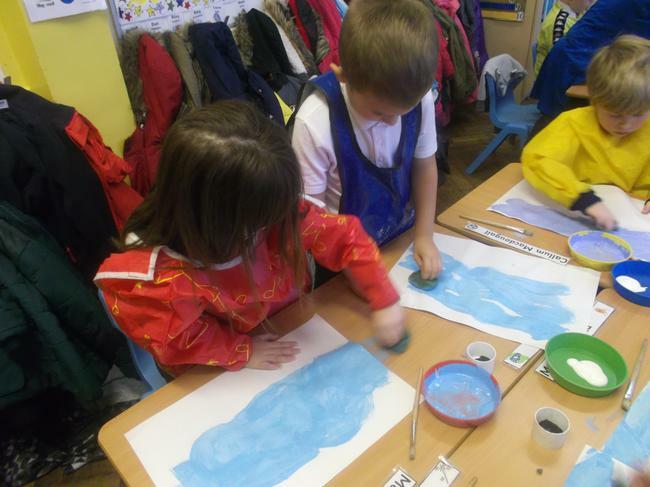 Then we used orange card to make feet and a beak. 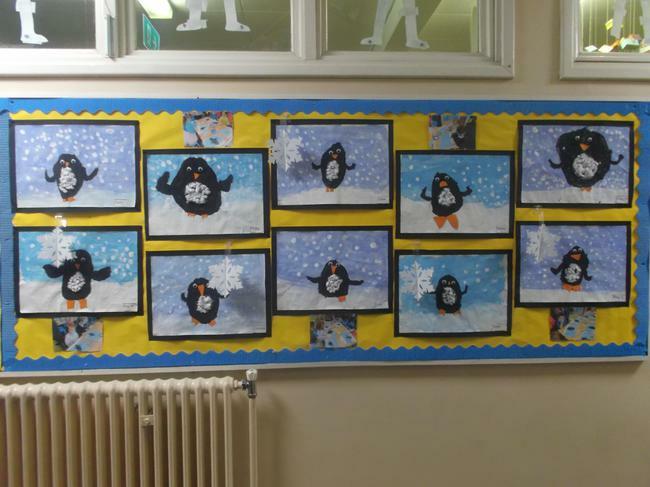 The last thing we did was give our penguin wiggly eyes so they could watch everyone go by! 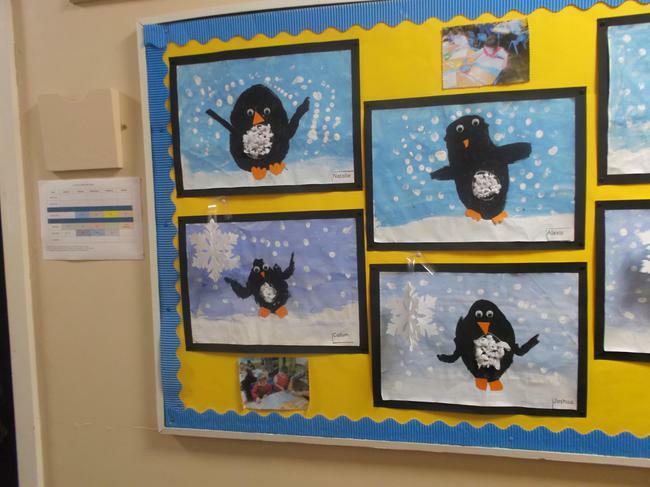 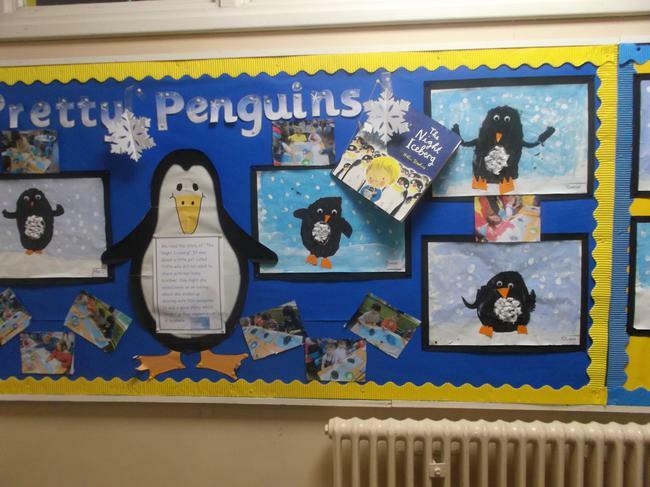 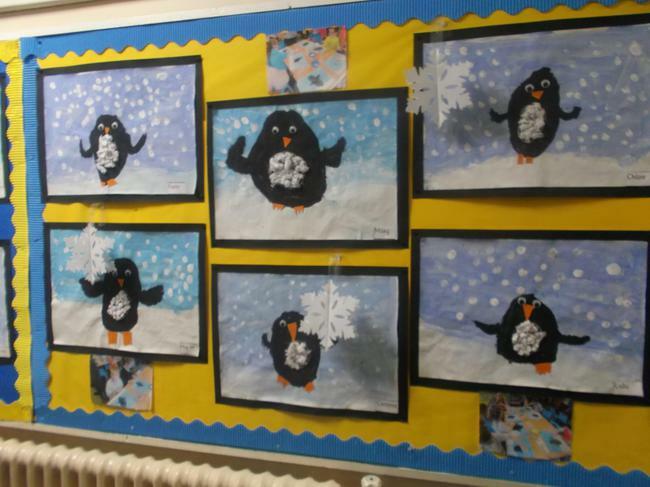 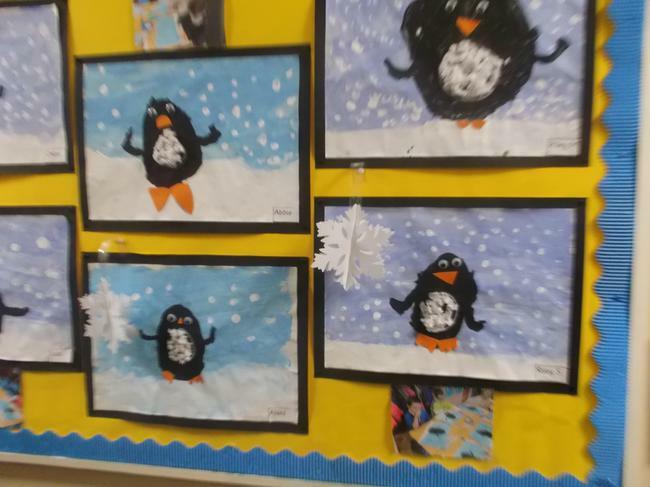 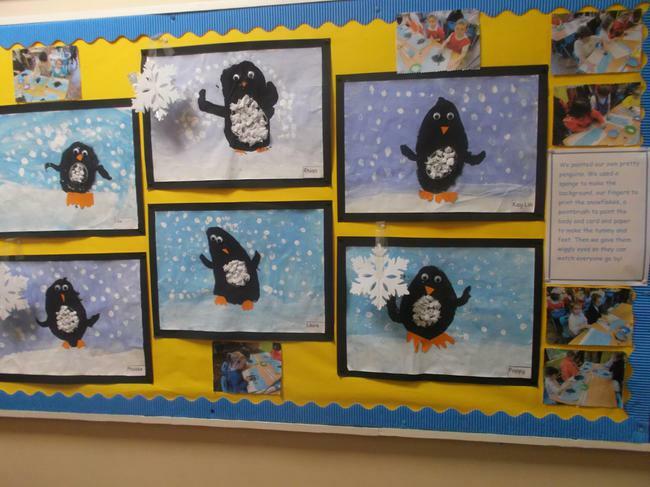 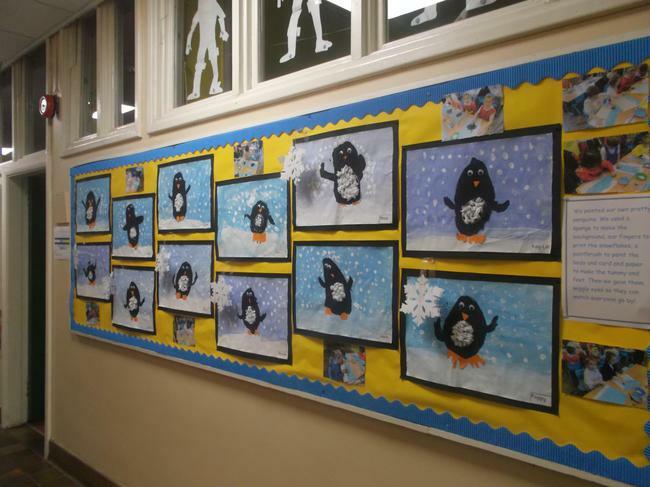 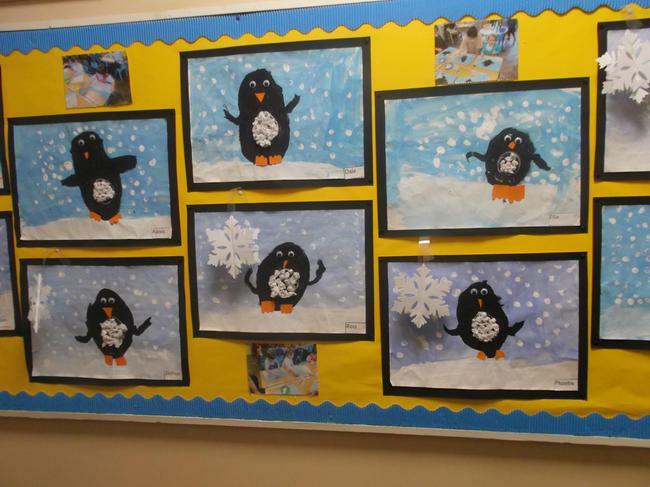 Now our "Pretty Penguins" are in the corridor outside our classroom - they look so cool!